We recently live-trapped a pesky raccoon that was becoming an expert birdseed thief. 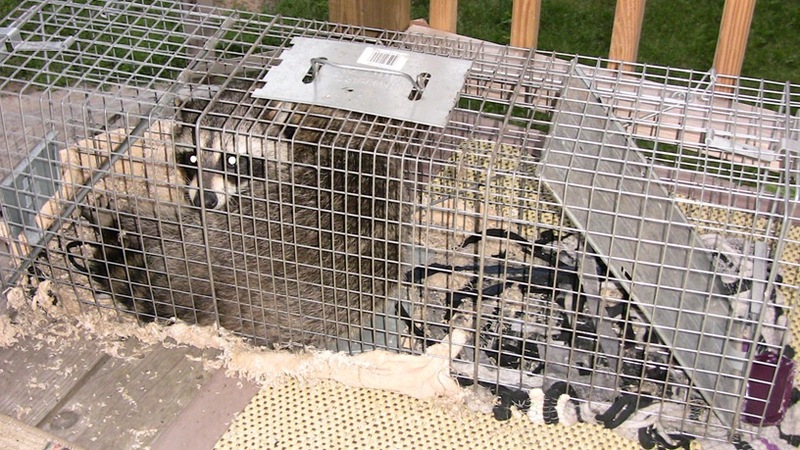 The guy who loaned me the trap warned me that the raccoon would destroy the grass or whatever was under the trap. So we put old rugs under it. It took me a half hour to remove the urine-soaked shreds of the rug remainders from the cage. I just noticed that the how-to website suggests that “the release site for these large animals should be over ten miles away.” Dang. I released this one by Ross’ house. Ross’s house is ten miles from my house. How about a google map? Does he also accept snakes and stray dogs and cats? Old X mas trees and sofas? Here’s the Google map for Ross’ house, Curt. His is the one that needs to have the grass mowed. Be sure to leave a note on the door. 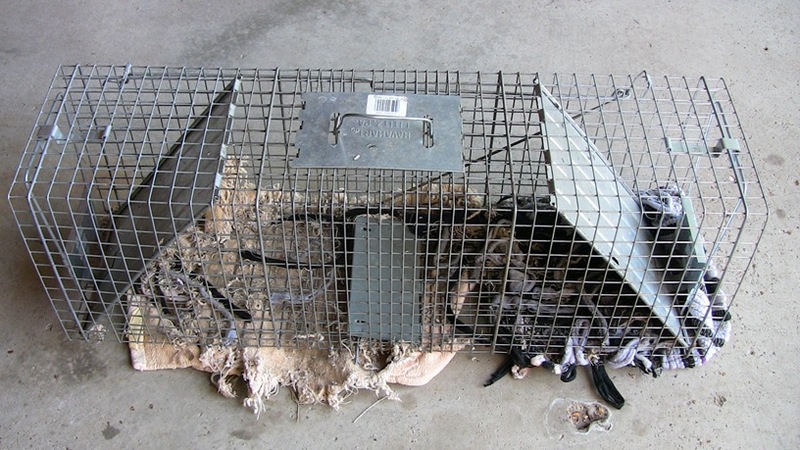 The Internet Center for Wildlife Damage Management to the rescue: Releasing Unwanted Skunks from a Cage (a.k.a. Live) Trap. Griif- If you are going to set out traps, you really shouldn’t raise a stink about what you catch. We live across the pond and smelled skunk the other night. Glad you caught it. Possums are also about.